NOTE: Always wear safety glasses when using compressed air and never point it directly at yourself or anyone else. Inspect the bolt to determine how best to remove it. If the bolt fragment is protruding from the assembly you may be able to grip it with a good set of Vise Grips. If you are unable to remove the bolt you will need to file the bolt surface flat so you can drill it. Use a file or a Dremel tool to achieve a flat bolt surface. 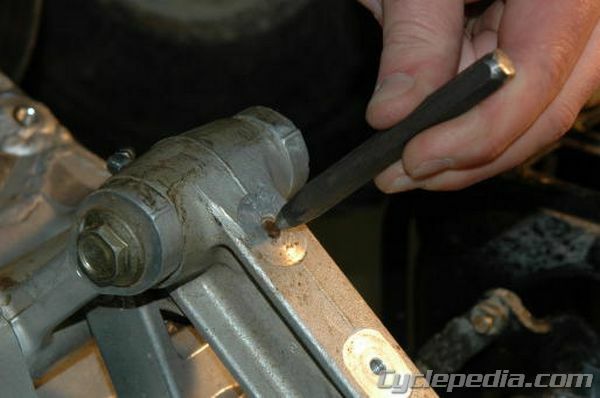 Make a punch mark in the center of the bolt using a center punch. This will help you avoid further damage when you drill it out by keeping the drill bit from skating. Next, determine what size drill bit and screw extractor you will need to remove the broken bolt. 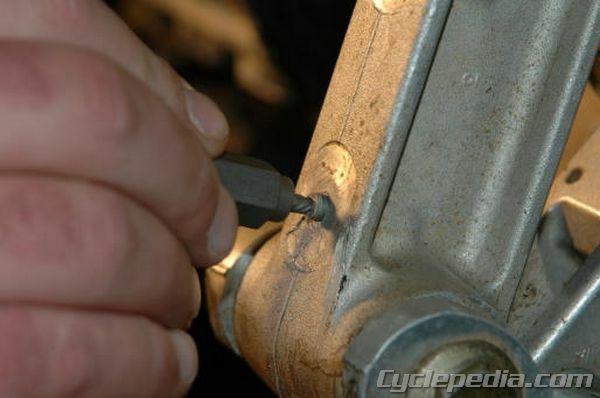 Position the bit in the center punch mark and begin drilling slowly while applying light pressure to the drill. Be sure to keep the drill bit lubricated—this will make drilling easier and prolong the life of your drill bit. You may need to pull the bit from the hole occasionally to clean out the accumulated metal. Continue drilling until the bit has achieved a depth of 10 to 15 mm into the broken bolt. The drilling depth depends on the length of the broken bolt. Use caution not to damage the component by drilling too deep. 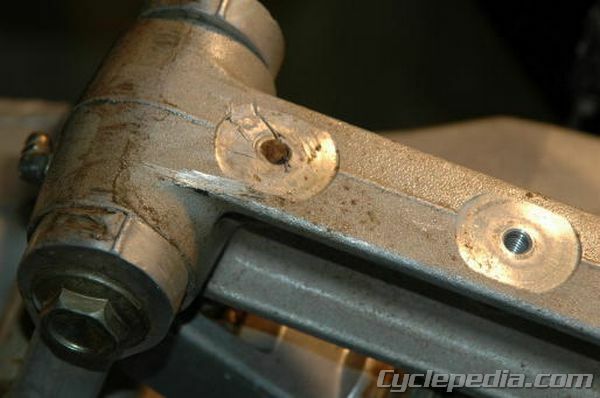 Spray penetrating oil such as WD-40 or PB Blaster around the broken bolt. 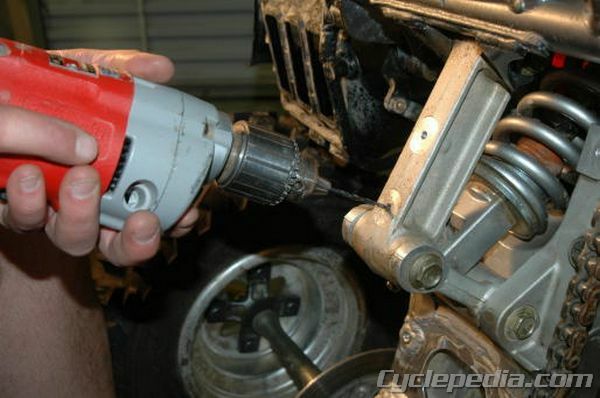 Insert the bolt extractor into the drilled hole and tap it in gently with a hammer. 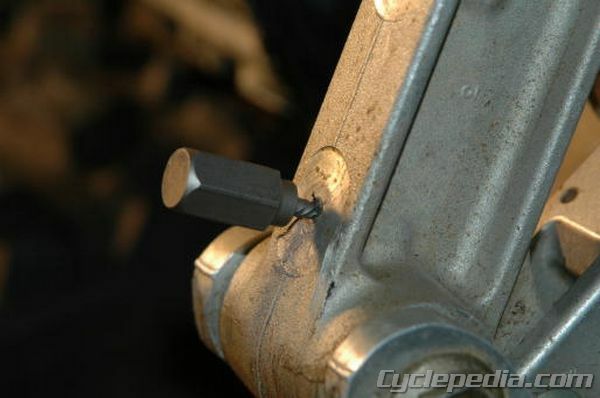 Heat the component with the broken bolt using a heat gun. Be careful heating painted or chromed parts as they may discolor. Turn the extractor counter clockwise with a wrench until the bolt is free. 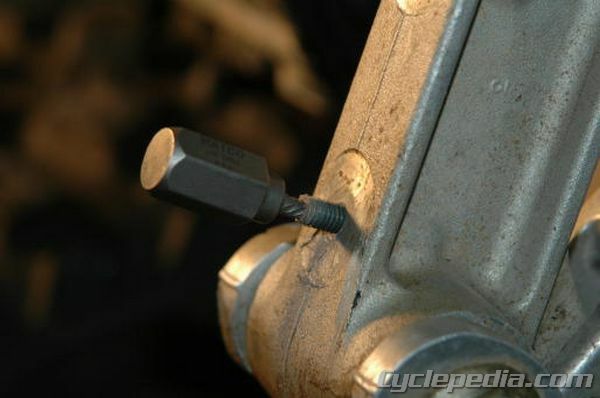 Once the bolt is out, use the correct size tap to clean up the threads. Use compressed air and blow out the hole so there are no remaining shavings. If the threads are damaged you will have to repair them using a thread repair kit such as HeliCoil or Timesert. See our topic on Using Thread Inserts for more information.